Denim has (and will most likely always be) in style, but for the first time in a long time denim skirts are back in full effect. Trends come and go and the last time we’ve seen them on the runway and on celebrities was back when Paris and Nicole were BFFL, and then they reappeared about a year ago. Now the trend has really taken off and being seen everywhere from the nightclub to the office. 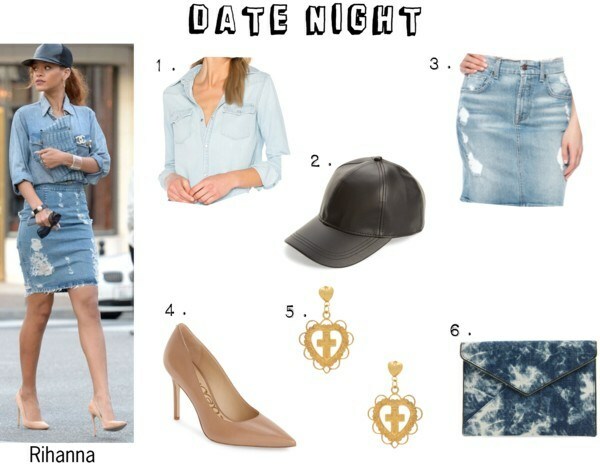 We’ve chosen nine celebrities that really stand out while wearing a denim skirt and tell you where it’s a good idea to wear it, along with how you can recreate the whole outfit. 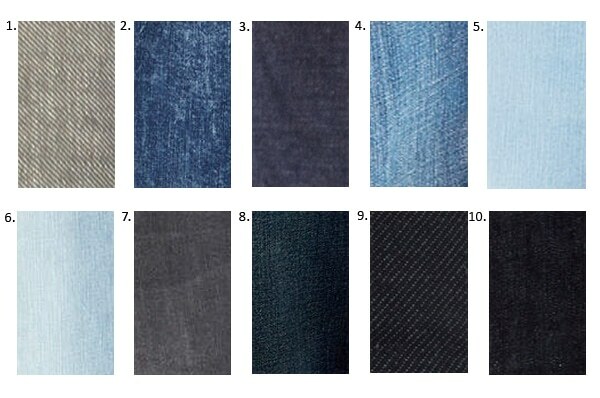 But first, let's reminisce on the denim trends of the 2000s. Some of the styles that were constantly seen back when Lindsay Lohan was chasing cars; The O.C. was our style inspo; when Britney Spears went all Hulk on a parked car; and when we went to sleep dreaming of Carrie Bradshaw's closet; were the micro mini worn with Uggs that was pretty much the uniform of every millennial girl. (While we're on that subject, please don’t ever wear Uggs unless you’re caught in blizzard!) Other trends that are thankfully gone are the ruffled minis made famous by Abercrombie & Fitch and Forever 21, pairing denim skirts with tacky fabric belts and wearing them with Juicy Couture statement shirts and skinny scarves. Forget those past trends and concentrate on the new denim looks. Today, denim skirts look a lot more polished. Some of the silhouettes you will continue to see are the a-line, the midi, and the mini (not micro mini, there’s a vast difference.) And with so many different types of washes to choose from (see below), you have a lot more options when it comes to finding the perfect denim skirt to wear this summer or fall. One styling tip to keep in mind is--simple is better. Skip piling on accessories with flashy hats and handbags or you’re going to look like you hopped into a time machine. Let the skirt be the staple piece and style around it. Pair it with a concert tee or basic white tee and sneakers for a laid-back look; choose a solid blouse and stilettos for a more sophisticated style; wear with a black bodysuit and thigh high boots when heading to a trendy nightclub; or pair with a chambray shirt and lace up sandals for an always classic look. Another thing to remember when choosing a denim skirt is to make sure it’s appropriate for your body shape and for what the occasion is. If you're going to the office, a midi with loafers or heels is appropriate, where a denim mini isn’t.